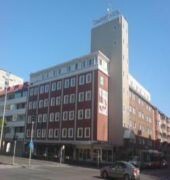 This hotel is a 10-minute walk from Jonkoping Central Train Station, the Match Museum and Lake Vattern. It includes free Wi-Fi and 24-hour free tea/coffee, plus a hot tub and a sauna. 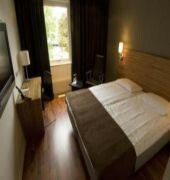 Cable TV, private bathrooms and work desks are included in all rooms at the Comfort Hotel Jonkoping. A shared laundry room is also available. The in-house restaurant serves Swedish and international dishes and and features a terrace. 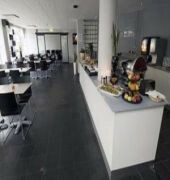 Other facilities include a lobby internet computer, a bar and a billiards table. Guests can also enjoy free access to a nearby gym. 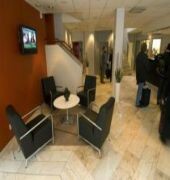 The Comfort Jonkoping is a 5-minute drive from the Elmia Exhibition Centre.